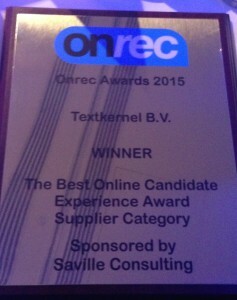 Textkernel is thrilled to announce it has received the Onrec award for ‘Best Online Candidate Experience’. 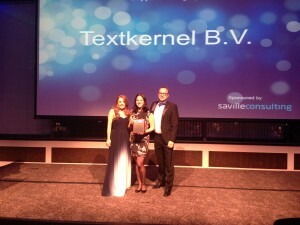 A panel of judges voted for Textkernel’s technology that significantly improves the candidate experience by making it easy for candidates to find and apply for jobs on any (mobile) device. 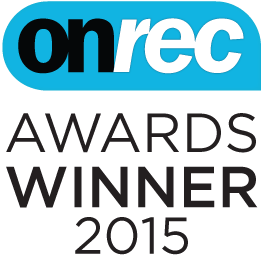 The Onrec awards celebration took place on Thursday 19th of March in London and was attended by over 250 people. Long forms scare good candidates. To prevent this, Textkernel developed the “Apply with” widget. This widget ensures a user-friendly one click application process from any device with a profile of choice. But it gets even better. The “Apply with” widget also seamlessly integrates with Textkernel’s semantic matching technology. This turns the profile into a search query and searches all your jobs, enabling you to automatically suggest relevant jobs based on someone’s (social) profile in the same workflow. The technology significantly improves the candidate experience by making it easy for candidates to find and apply for jobs on any (mobile) device. Find out how Textkernel’s technology can help you improve your Candidate Experience!